Any party who fails to comply with an order or final judgment of divorce is subject to being found in contempt of court. Petitions for contempt in Alabama are typically referred to as petitions for rule nisi. A rule nisi literally commands a party to show cause why that party should not be compelled to do an act that has previously been ordered by the court. 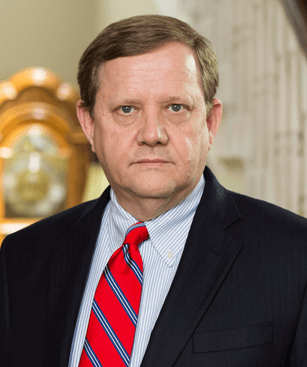 Civil contempt in an Alabama divorce case occurs, in general, when one party fails to perform an act required by the trial court for the benefit of the opposing party. A typical divorce rule nisi is filed when one party is attempting to compel the other party to transfer property awarded in divorce, pay alimony, pay child support, or comply with child custody or visitation provisions of the Final Judgment of Divorce. A petition for a rule nisi may be the only alternative for a divorced person to enforce a divorce decree against an uncooperative former spouse. A petition for a rule nisi is a separate civil action that requires the payment of a filing fee, service of process upon the former spouse and a hearing. If contempt proceedings find that the former spouse has failed to comply with the divorce decree, then the trial court will typically find the disobedient spouse in civil contempt and give the disobedient spouse a limited amount of time to come into compliance with the trial court’s order (although it is not required). If the former spouse refuses to comply with the divorce decree, then the trial court will likely order the party jailed until the party purges himself or herself of contempt by complying with the divorce decree. I am a Birmingham attorney experienced in helping men and women enforce their divorce decrees. I am also skilled in assisting people accused of failing to comply with their divorce decree. If you need help with an existing divorce decree, contact me by filling out my online intake form or by calling 205-212-5577.